Precinct analysis: Did HERO hurt Juliet Stipeche? In the Houston Independent School District, trustee Juliet Stipeche on Tuesday became the first sitting HISD board member to lose since 1997. At that time, retired educator Larry Marshall defeated Clyde Lemon, a supporter of then-Superintendent Rod Paige. Stipeche, one of Superintendent Terry Grier’s most outspoken critics, fell to Diana Davila, who served on the board for seven years before resigning her term early in 2010. Davila won the District 8 seat Tuesday with 55 percent of the vote – bolstered, observers say, by strong name recognition and a high turnout of conservative voters who defeated the city of Houston’s equal-rights ordinance. Davila was listed on the candidate slate pushed by opponents of the HERO ordinance. Making the anti-HERO slate, however, did not guarantee victory. HISD District 4 candidate Ann McCoy, also listed, lost by a wide margin, and District 3 trustee Manuel Rodriguez Jr. was forced into a runoff in his three-way race. Stipeche said she thinks she was hurt by the anti-gay rights movement and community dissatisfaction with HISD under Grier. “I think people are very frustrated by what is happening in HISD,” said Stipeche, who chairs the school board’s audit committee and launched audits to look into the projected $212 million shortfall in the 2012 bond program. Davila joined her board colleagues in unanimously hiring Grier in 2009, but she distanced herself during the campaign, saying she was “one of the culprits” in his appointment. Davila attributed her success largely to “grass-roots campaigning,” fueled by family volunteers. “You block walk. You look for the least expensive printer. And you label at home,” said Davila, who reported raising no campaign contributions. She declined to say Wednesday whether she supported the equal-rights ordinance. First off, I’m not sure which slate this story refers to. I didn’t come across any endorsements at all for Diana Davila, and none of the ones I have on my Election 2015 page for Ann McCoy – who expressed support for HERO in the interview I did with her – came from expressly anti-HERO groups. It’s certainly possible there was something I missed, and I have no doubt that Stipeche would have been a target of anti-HERO forces if they were active in this race. I just didn’t see any such activity. As for what the numbers say, HERO actually didn’t do too badly in Stipeche’s district. It was defeated by a margin of 8,922 to 7,879 or 46.7% to 53.3%, while Stipeche lost 5,370 to 6,725 or 44.4% to 55.6%. That in and of itself doesn’t tell us anything, because we have no way of knowing what this election might have looked like if HERO hadn’t been on the ballot. It could be that in such a world, fewer people who would have voted against HERO show up, and perhaps that drags Davila’s total down enough for her to lose as well. There’s just no way to know. For what it’s worth, if you add up the vote in the precincts where HERO lost, you get a tally of 3,017 to 5,625 against HERO and 2,300 to 4,238 against Stipeche. That’s greater than the actual margin of defeat for Stipeche, so it at least suggests that there’s a relation between being anti-HERO and pro-Davila. It’s far from conclusive, however. For one thing, as noted before we don’t know what turnout would have been like without HERO on the ballot. It’s entirely possible that Davila still wins in that scenario – she did win by a fairly healthy amount, and surely there were some pro-HERO voters who also voted for Stipeche but might have stayed home otherwise. It may also be that this is a reflection of geography and ethnicity – Stipeche’s support may have been predominantly from the more Anglo parts of the district in the Heights that were also pro-HERO, while Davila’s support may have come from the more Latino and anti-HERO parts of the district. I’m not map-oriented so you’ll have to wait until Greg or someone like him takes up that question. My point is simply that what we have is suggestive but hardly conclusive. I included those last three at the end to show that the effect wasn’t entirely one-sided. I don’t know why so many HERO supporters (and a few HERO opponents) in these precincts failed to vote in their HISD Trustee race, but even the most generous interpretation doesn’t affect the result, as Stipeche would only net 804 more votes if we assigned the HERO results in those first six precincts to her election. There may have been some effect, but if there was it wasn’t decisive. So did HERO have an effect in this particular election? I can’t say it did, and I can’t say it didn’t. Or to put it another way, I think it was a factor, but I don’t know how much of one. It probably wasn’t a difference maker, but who knows? Wish I could be more definitive, but sometimes all you can do is shrug. Let me ask a self serving question? Are you going to cover the council races? Davila winning should not be a surprise to anyone. Anti-HERO had very small coattails if any especially in the District races. At large it may have had more of an impact, and that is a maybe. Mike Knox was the only conservative running and he did run an active campaign with the Republicans, the same as Bill King. He was the only that did that. Willie Davis would have probably been in the runoff even if he did not enjoy some support from the anti-hero groups. I received some help from them the amount of help is debatable. If I had to venture a guess maybe about 500 votes. I am not sure how much was me mailing to target groups or their slate endorsements. The endorsements came in after early voting had started. That applies to all candidates that were endorsed by the anti-hero groups. If the anti-hero was so instrumental why didn’t Herlinda Garcia win? Art Aguilar? or Abel Davila. By the way Abel and Art did not seek the endorsements of the anti-hero groups. But they did accept them. Diana Davila never spoke to any of the groups that endorsed her. What she did do is walk and knock at doors, thousands of doors. She was also very successful in bringing schools and good teachers to her district when she was there. Stipeche was a puppet of the unions especially HFT. As a former teacher I never did like the unions, especially HFT as they cared about their union members not the students. As Gayle Fallon told me tens of years ago, we are here to represent the teachers not the students. Not every election that was lost was a result of HERO. While Juliet served her position with ease it is possible that her overall far left political position combined with her inability to truly connect with voters may have been her demised. It is one thing to hold fundraising events, & another to actually talk to everyday voters, which not only worked for Davila but several candidates who actually won. As far as HERO is concern. The other day you suggested that more block walking should have been down in Black communities and made a reference to METRO. The difference between HERO and METRO is that there are more chuches in Black communities than any other area. These chuches were already attacked by Parker last year when she attempted to subpoena their sermons. It is very likely that while the campaign to defeat HERO was fierced perhaps the downfall of the ordance was Parker herself who has had a history of forcing controversial agendas upon the citizens, which have been defeated or ultimately turned out not as planned, Red light camera and drainage fees. In an area where you have an extreme amount of churches and the pastor is seen as the ultimate figure how would have educating this area ultimately helped pass HERO? As far as HERO is concern. The other day you suggested that more block walking should have been done in Black communities and made a reference to METRO. The difference between HERO and METRO is that there are more chuches in Black communities than any other area. These chuches were already attacked by Parker last year when she attempted to subpoena their sermons. It is very likely that while the campaign to defeat HERO was fierced perhaps the downfall of the ordance was Parker herself who has had a history of forcing controversial agendas upon the citizens, which have been defeated or ultimately turned out not as planned, Red light camera and drainage fees. In an area where you have an extreme amount of churches and the pastor is seen as the ultimate figure how would have educating this area ultimately helped pass HERO? Juliet’s loss is devastating to HISD and most importantly — the kids! She did her job well and she genuinely cared. Everything happens for a reason. Juliet will come out ahead when the dust settles. I believe Diana won because people thought she was the former State Representative; it came down to name recognition in a mostly Hispanic District. I did not see any evidence of Diana running a strong grassroots campaign as she and some suggest. What Diana did do was put out false information about Juliet. This speaks to Diana’s character and integrity. We’ll have to see how this works out for Diana. All eyes are on her and I’m sure she knows it. Diana Davila was a state representative who last served in 1999. She ran for District H and lost. She was romantically involved with Roman Martinez and was considered one of the reasons for Roman’s divorce. Whoever you are Julian you are delusional or in denial. Stipeche was and is a puppet for the union (HFT), a group of people that have defended teachers who have physically and sexually abused children as teachers and other HISD employees. It has been 20 years since I have been in the classroom but as a rule the worse teachers were members of HFT. The other two organizations do not consider themselves union and care much more about students and teaching. I was talking to a guy tonight at Montrose Center who had been at event there LAST night where a bunch of the runoff candidates were present. So you have at least one very excited fan out there. 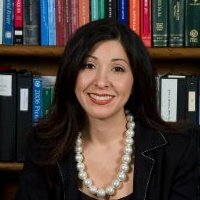 There is two Diana davila Martinez was the state rep-she was married to roman but the Diana that just got re elected to Hisd is not affiliated with roman???? ?is this correct??? ?